Noticed the immob light flashing (5 times) then out. Done my research and found a potential issue with the antenna coil around the ign coil. Before i started i had a code P1690 Smartra fault... but this is not identified in the workshop manual? A scan tool is you friend. 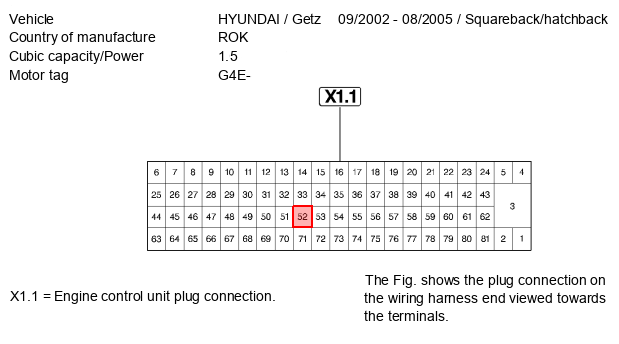 The 1690 code means there is a problem with the communications link between the SMARTRA and the engine PCM. The first thing I would do is check the SMARTRA module power supply and ground (pinout shown below). It obviously can't talk to the PCM if it isn't being powered up. The colours don't represent the colours of the car wiring. Would you have a pin out of the ECM/PCM? 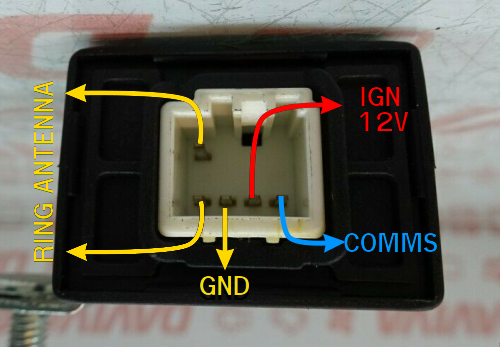 PCM connector pinout below. According to my info the immobilizer comms wire is on terminal 52. *1st issue was a bad Main relay (under bonnet), when i connected power to it, all contacts had continuity- replaced it with another i had, now good. I now have key learnt on scan tool and the immob symbol on the dash has stopped flashing and stays on solid. re scanning the system and no fault codes? Anyone think of anything else please? Try starting using alternative fuel source. Carb cleaner etc. If the main relay was bad there would be no power supplied to the SMARTRA. There wouldn't be any power supplied to the PCM either though, which means your scan tool wouldn't communicate with it to read the code. Anyway, glad you've now got a good key status. Your new problem appears to be with the fuel supply to the engine in that case. The scan tool says the PCM is switching the pump on but have you actually checked that it is running? The first thing I would do is check there is power being supplied to the fuel pump check terminal DURING CRANK. It's located on the engine bay fusebox, marked F/P CHK on the inside of the lid. Yes it has power when cranking (battery equivalent). I pulled the pump out and powered it to compare with another i have here- it seemed lazy / slower than the other one.